It took about a month to make the socks and more than two months to get around to taking the picture. I love the bright colors. The only downside was that the yarn was quite splitty. At work we have 'Wild Socks Monday'. I think that these will fit right in. 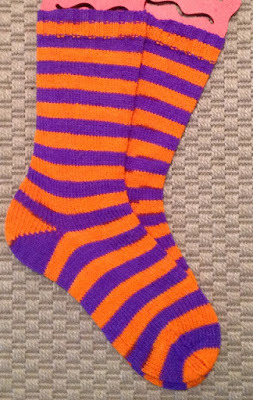 I need to get more sock knitting finished. 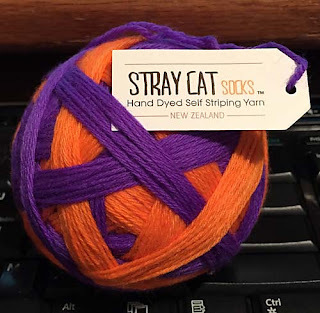 I have some wonderful yarns and some socks on the needles. 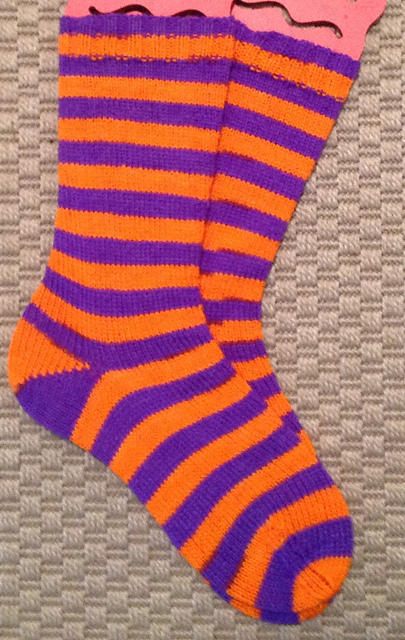 Watch for more completed socks in the not-too-distant future. Look like Bronco's socks to me!